The Huawei Ascend D2 is a device that might have gone a little less attention than the high-profile water and dust resistant Sony Xperia Z, but it is essentially the same 5-inch 1080p monster phone with a quad-core processor. And moreover, it is also dust and water proof, and can brag about having a metal unibody made with great precision. To show it’s ready for the spotlight, Huawei is now showing a video of how complicated the manufacturing process for the Ascend D2 really is, and how it all comes together in the metal unibody. Created from a single piece of aluminum, the device goes through a whopping 116 separate manufacturing processes. 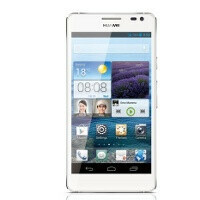 We already have a hands-on of the Huawei Ascend D2 so make sure to take a look at what the final result looks like. Huawei is on the right track but I prefer the Xperia Z.
is the ascend mate also aluminum unibody?